New in the crate 2018 Yamaha F9.9LMHB. Manufacture date 6/18. Four stroke motor. Our 212-cc 9.9-hp portable is an impressive little outboard with a new, shorter tiller handle for increased comfort and the option of manual or electric start. The F9.9 platform is so popular, we also offer it in a high-thrust T9.9 format. 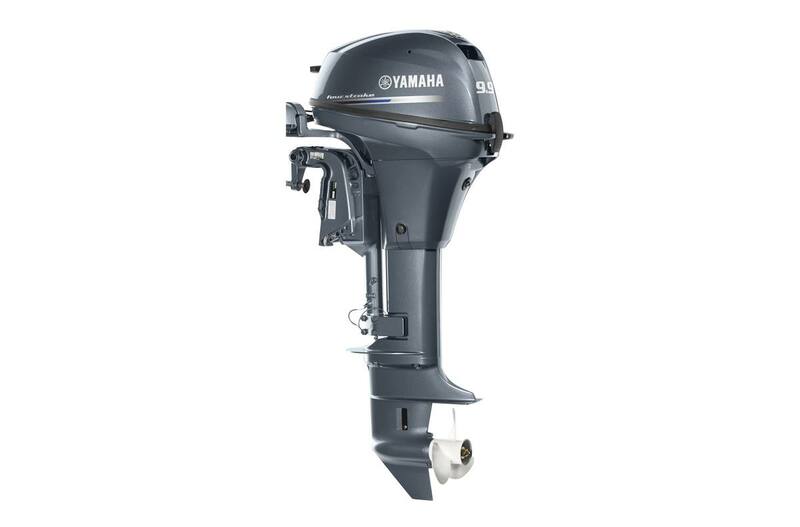 The high-thrust model offers the option of a 25-inch shaft and a V MAX SHO® sport cowl when used as a kicker on a multi-species boat.